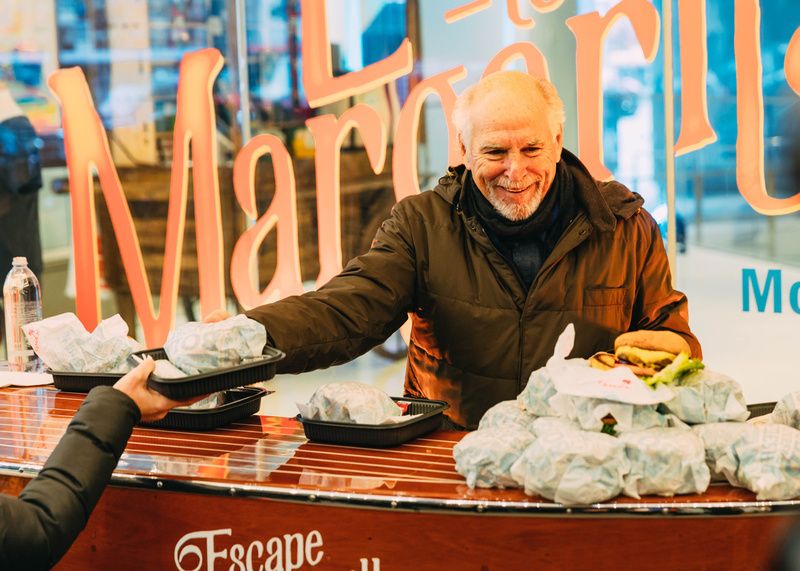 Escape to Margaritaville's music man Jimmy Buffet knows how to greet the fans in style ahead of a Broadway run! He distributed cheeseburgers (in paradise—get it?) at the Marquis Theatre on December 8. 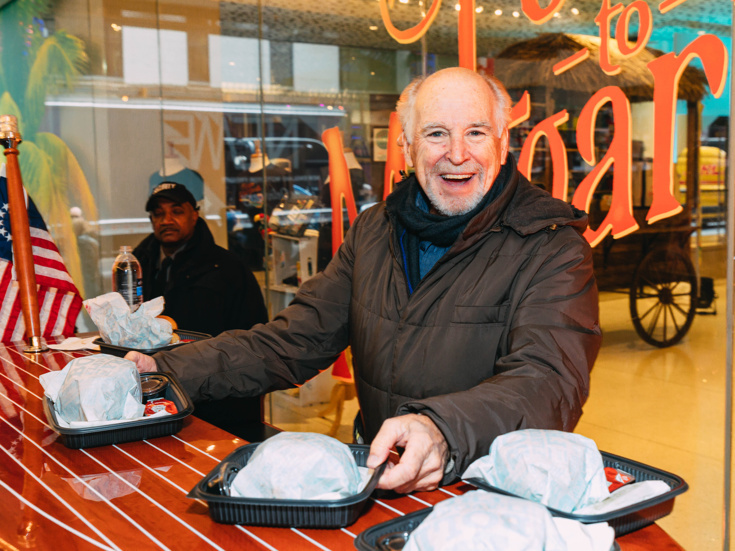 What better way to celebrate a new musical than with a greasy burger! New Great White Way tradition? We think so! Peek the pics, and get ready to raise a glass when Escape to Margaritaville begins performances on February 16, 2018. 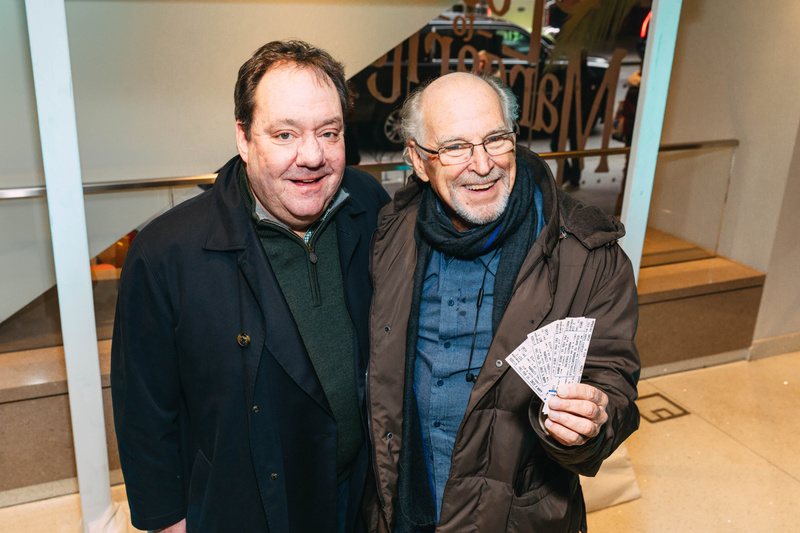 James L. Nederlander Jr. and Jimmy Buffett are all smiles for Escape to Margaritaville! We could get used to this. Thanks, Jimmy Buffett!